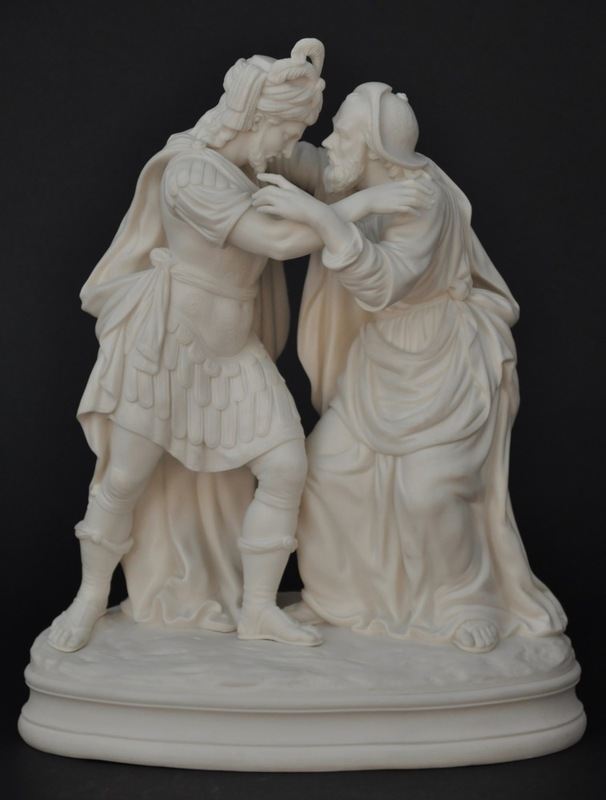 This beautifully rendered Parian group depicts the initial providential meeting between Cornelius, a Gentile, and Peter, a Jew. The narrative and its impact upon Christianity are recalled in the New Testament book of Acts 10:1-48. 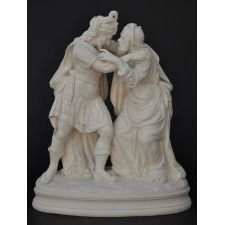 This piece is in excellent condition and features the figures in intricate detail. It is impressed on the back: ART UNION OF GREAT BRITAIN. The same figure is illustrated in The Parian Phenomenon, Fig.891, page 256.